Growing up in England, weatherboard homes were few and far between but I always admired the clapboard houses of East Coast America and longed to live in one of those. 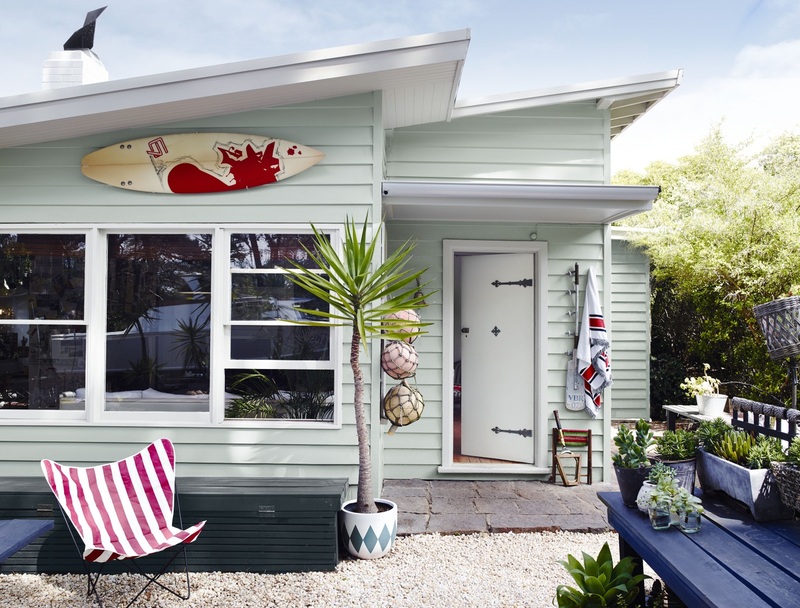 Moving to Australia, I thought I would achieve my dream of having a weatherboard home, as they are referred to here. They are one of the mainstays of Australian architecture, but sadly, I haven’t managed to buy one yet! With a husband who loves brick houses and can’t see the appeal of the weatherboard, it is a constant struggle but I hope to get there in the end! 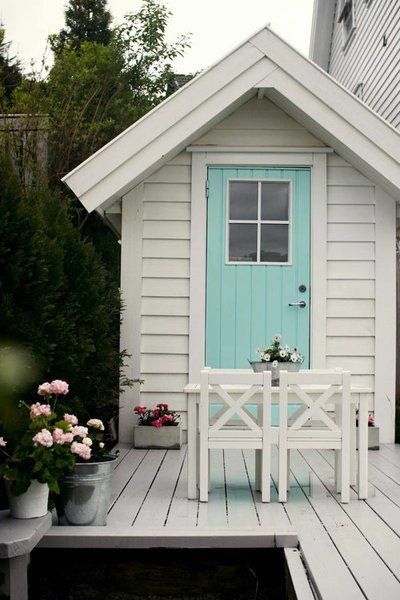 I may have to settle for a garden shed or summer house. 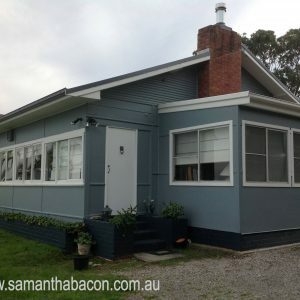 Part of the appeal for me I think lies in my childhood dreams but what I have realised as a grown up and qualified designer is that the humble weatherboard, with its classic shadowline, is so much more receptive to exterior colour than a rendered house is. 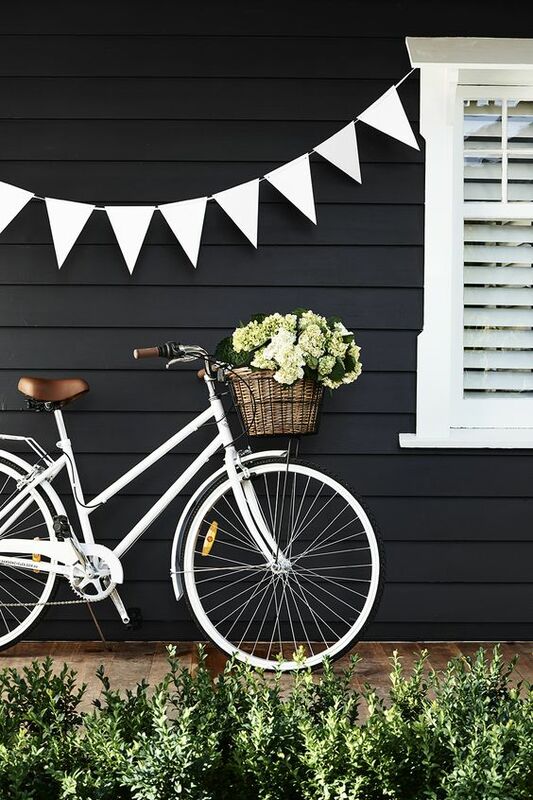 You can easily get away with soft pastels, grey blues and greens and dark grey and even black on a weatherboard home that you can’t do on a one dimensional rendered finish. Even classic white is elevated to another level because of the shadow that the overlapping boards create. 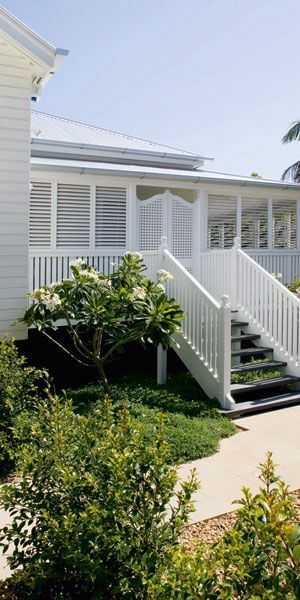 Weatherboard houses also suit a more relaxed coastal or country style which really appeals to me. These houses are less formal than a solid brick or rendered property and really just prettier! 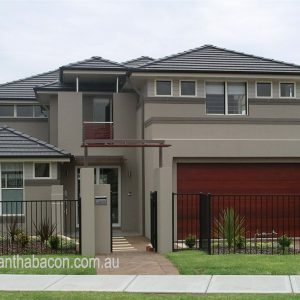 The classic Queenslander with its elevation from the ground, deep porches and ornate details add another dimension again and frankly make me swoon with envy. It’s almost enough to get me to move to Queensland – which I really love by the way – but I do find the heat is a bit of a challenge. Still, with a cool drink, an overhead fan and a beautifully decorated verandah, I could learn to adapt! For a true country look, you can’t beat weatherboards in natural timber. If you do want to keep the beautiful natural colour in the boards, you will have to commit to quite a bit of maintenance though as the boards will weather, particularly in a harsh environment or in a sunny western aspect. The best approach if you don’t want the maintenance, is to let the boards weather to a beautiful silvery grey. In fact this is what a lot of people actually want to achieve from the outset and as long as you have used a good quality stable hardwood, then this is absolutely fine. I do really love both looks but this timber home really looks great with the depth of natural colour in the boards, trimmed with black, the look is subtle and understated – just what a true country home should be. 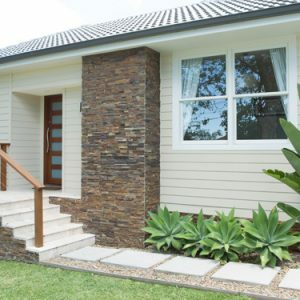 I can’t think of a favourite colour for a weatherboard house as there are so many options that look great, so it really comes down to the look that you want to achieve. For example, is the house a classic weekender by the coast? If so then you could opt for a white or a classic pastel hue which is fun and gets you into the holiday spirit. 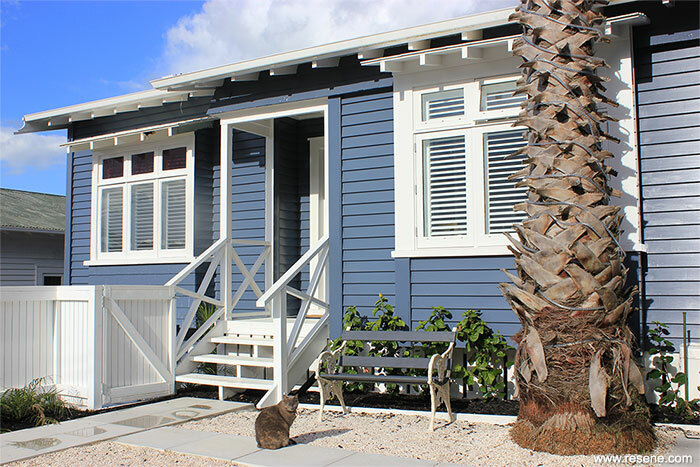 The classic blue and white colour scheme looks great on a weatherboard house and is equally at home by the coast or in town. 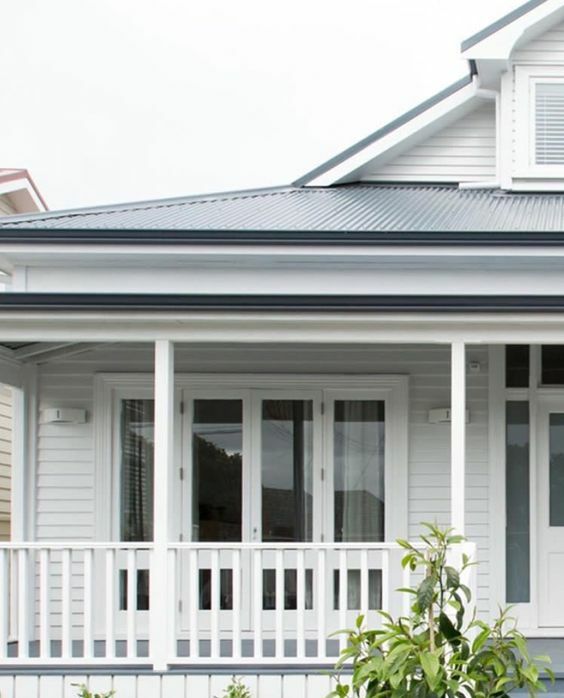 As well as looking good in natural timber, countryside weatherboard homes also look good in soft grey greens or white or to really get the farmhouse look, black might be the answer. 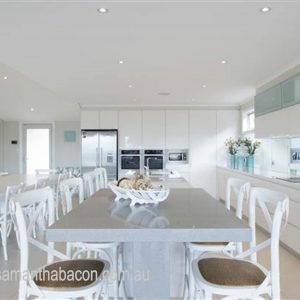 Or the weatherboard house may be in a smart inner city area, in which case a sleek grey may be more the ticket. Endless possibilities! 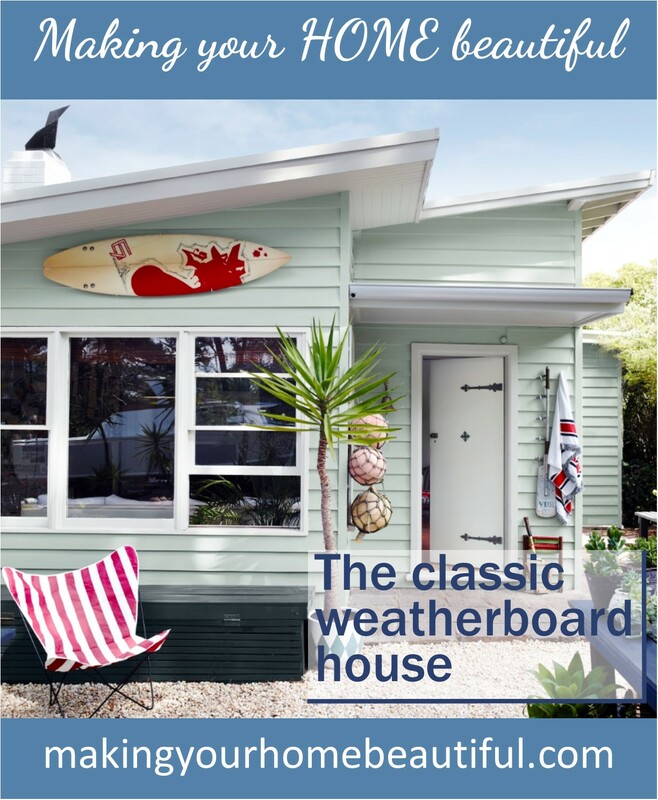 There is a heap of inspiration on my Pinterest Boards and it would be great to hear your comments and questions about weatherboard houses and colour schemes in the comments section below. Look forward to hearing from you! Are you planning a renovation or building a new home? You might also like my article about how to Make an Entrance – one of the most important parts of a house. 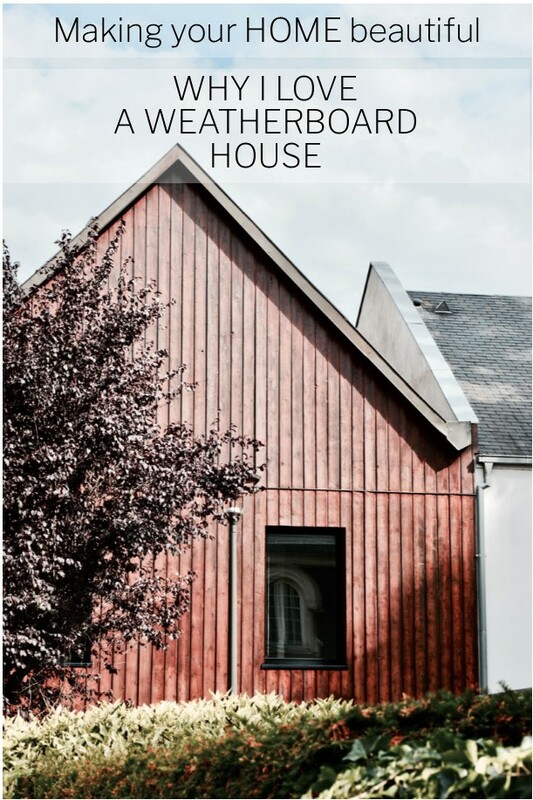 If you are building or renovating or even updating the look of your home with a coat of paint, you should download my free comprehensive exteriors checklist. 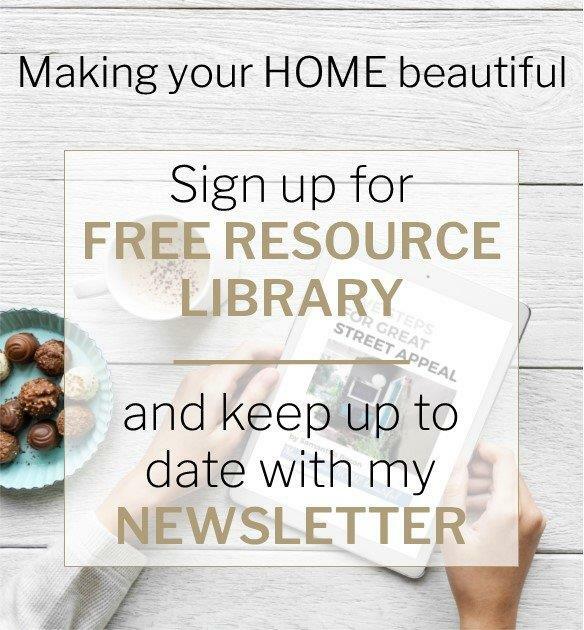 This is in my Free Resource Library – you can sign up here. I, like you, salivate at the sight of a Queenslander and I like you have a husband who strokes out at the thought of painting one. They have always been my favourite in all their variations from the most modest beach shack to the mega million dollar versions. I hope you get your wish I will probably not get to own my own but I did grow up in one so I am one up on you. 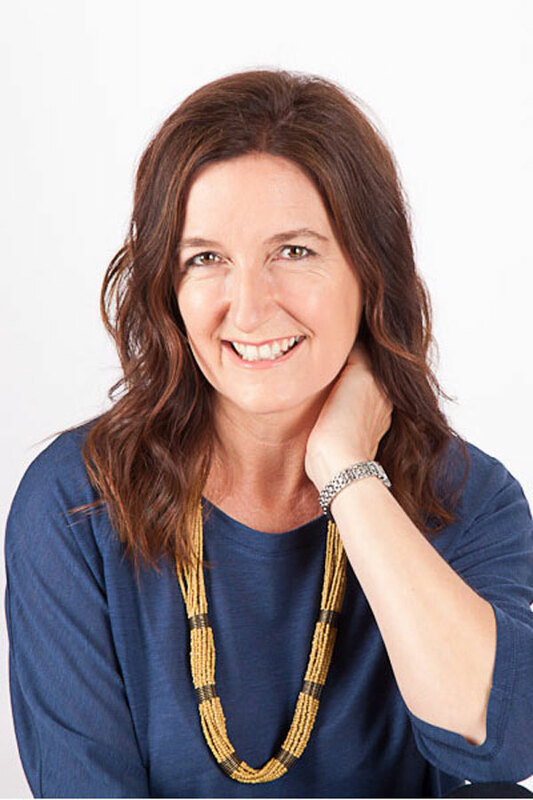 Hi Samantha, I have to say that I adore your blog and especially this post (I know you wrote it a while ago) – my family cannot understand why I bought a weatherboard and talk about us needing to upgrade! Hello Samantha. First off, your blog is fantastic! What a wonderful resource! We have a heritage listed Queenslander we are about to repaint on a large leafy block. We were thinking of a beige/white colour combination to sit well against the green of our garden and white picket fence. 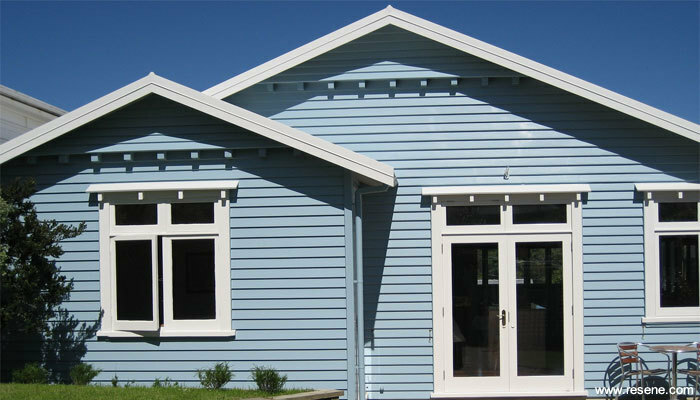 I had been looking at Dulux Linseed for weatherboards with either Natural White or Vivid White for lattice and trims and maybe Colorbond Woodland Grey for the guttering. The corrugated iron is in its natural unpainted state and has some age to it which I love. My question is what is your favourite beige palette for a Queenslander? Hi Samantha, I havebonly just discovered your blog and thoroughly enjoyed it. I have a 1950s Tasmanian vertical timber shack which I inherited from my grandmother. I have just started a long overdue reno and then I will do a repaint. It’s always been painted in the traditional Indian Red of that time, but I really don’t like that colour. I was intending on painting it a black, the alternative popular colour from that period due to the use of creosote to preserve the timber. My painter has suggested I don’t use black due to the expense and that a lighter colour is preferable. Can you recommend another colour that may have been used in the 1950s as I would really like to keep that heritage? It will have the large timer winder architraves in white as well as white french doors.